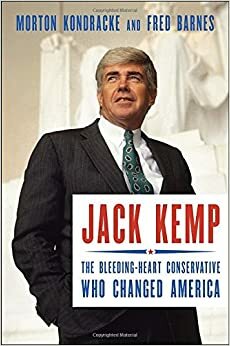 Jack Kemp: The Bleeding-Heart Conservative Who Changed America is by two veteran reporters Fred Barnes, a long-time conservative, and Morton Kondracke, a liberal with humane sensibilities and honor. WARNING: THIS BOOK MAY BE THE MOST DEPRESSING BOOK I READ THIS SUMMER. How depressing? I may have to follow it up by reading 20th century Nihilists, Existentialists, and Doomsdayers just to recover. Why does it seem to be so potentially depressing? Thanks for asking. Jack Kemp, a political leader during the 1980s and 1990s, was reminds me of Donald Trump in this sense: He was the opposite of Trump in every way. Okay, I will concede that Kemp had a full head of hair like Trump, but Kemp’s hair was real and went from salt-and-pepper to completely gray. He aged with style just as he did everything else with style. 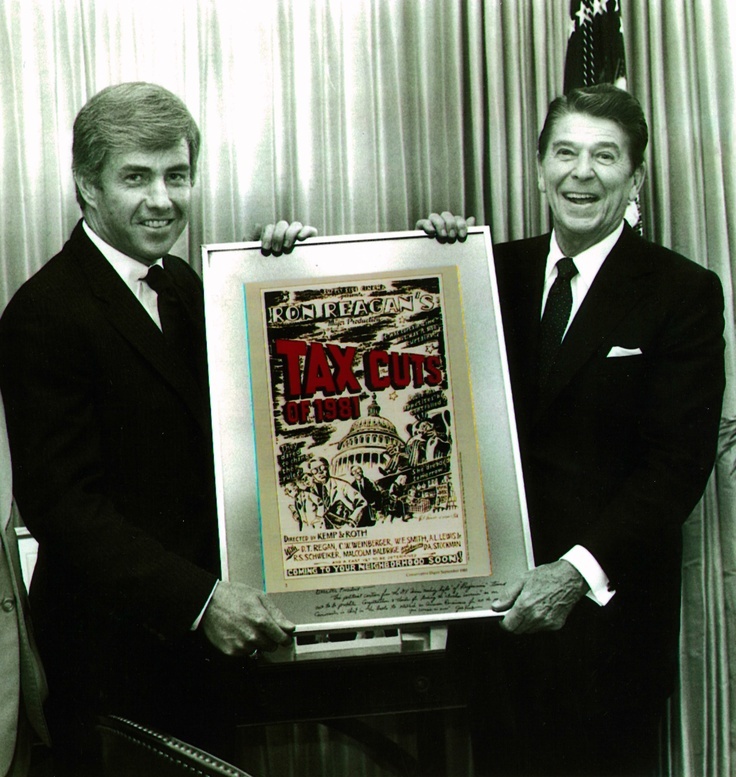 Jack Kemp (1935-2009) had actual political experience. He was elected to the House of Representatives from a predominantly Democrat district in New York state. He quickly became a leader in the areas of economics and tax reform. He was the co-author of the Kemp-Bradley Bill during that time. He worked closely with President Ronald Reagan, agreeing most of the time with the President, but not following in lock-step. He also served for several years as the Secretary of Housing and Urban Development. (Turning the under-developed portions of cities into safe and productive areas was a deep passion of his.) In 1996, he ran for the office of Vice President on the ticket headed up by his often-time rival in Republican politics, Senator Bob Dole. Kemp was chocked full of facts and figures regarding economic policy. Trump occasionally hits a fact, but knows no details. Kemp was a serious student of economics. For years, he was a successful professional football player and quarterback. But when he turned to politics, he read and studied extensively. Trump obviously deals with money, but seems to have little understanding of real economics other than have to file for bankruptcy. Kemp was a gentleman in politics. In fact, one of the contentions of the book is that he was too hesitant to attack other people. He even viewed his Democrat rivals as friends and friendly rivals. That is not to say that he did not have deep and divisive differences, but he was a model of political decorum. Trump is a professional wrestler without the athletic skills of wrestlers. Trump spouts off vicious things constantly. He has taken political discourse, which is always far too abrasive, and plunged it to unimaginably low levels. Kemps’s speeches were too often too detailed and laden with economic explanations. Even though he was a protege and co-worker with Ronald Reagan, he was not able to follow in the rhetorical footsteps of the Great Communicator. He was, in short, too brainy. Trump’s speeches are rambling, error-filled, hate mongering, and stupid. Kemp was a man of Christian convictions. He was a Presbyterian and had met with such Christian leaders as Francis Schaeffer. (Fred Barnes noted that his own wife still attends a weekly Bible study hosted by Kemp’s widow.) Trump, while claiming to be Presbyterian (oh, the shame of that for all of us who are Presbyterian) shows no understanding of even the basics of Christianity. Kemp envisioned expanding the Republican Party to reach more minorities and poor people. Trump fuels the anger, largely white male anger, that is in the electorate. It is a shame that Kemp never made it to the White House. George H. W. Bush would have been well served if he had chosen Kemp as his Vice Presidential candidate in 1988 rather than the unvetted, unprepared, light weight Dan Quayle. Even better would have been the nation if Kemp had actually been in the White House instead of either of the Bush men or Clinton. I will be depressed reading this book. (I am only on page 16 for now.) But it is essential reading. We must be reminded that there have been, and God willing, will be good, wise, thoughtful leaders again in this nation. Strange as it may sound, reading certain books and authors makes us feel much smarter because they make us realize how much we DON’T know. It is the same effect that great concert music has. When you are experiencing–of which hearing is only a part–a great performance, you may leave not knowing one ounce more about how to play an instrument or perform a piece, but you are changed. Epic poetry, great novels, powerful works of art all create these same changes. It is not that the mind is not more full, or the recollection of facts expanded, rather it is that the soul has been somehow touched, the vision somehow broadened. This leads to an awareness that the universe is much bigger than we had previously expected and that our own finiteness is more finite that we knew. This is, in my opinion, much of what real education is about. It is the goal, and being the goal, it has to also be the process. Not only is history dangerly deceptive subject, but that last paragraph might deceive the reader as well. Knowledge of history does entail having to learn or at least be exposed to lots of dates and dead people. It does provide supporting evidence for religious, economic, and political beliefs. It can be greatly entertaining and much more satisfying than the soul-less, content-free, brain evaporating endlessly omnipresent, thought-dumbing world of glitz, passing fads, and drivel and swill of much of modern culture. Doing math may create frustrations. (I speak only from memory here.) Having done math does not tend to leave us perplexed. The completed math problem rarely leave the student asking himself, “How could 2 and X and the square root of 44 ever have done what they did? Have they no moral conscience?” History leaves lots of tears along the way. When George Orwell said, “If you want a vision of the future, imagine a boot stamping on a human face – forever,” he was just as accurately describing too much of the past as well as a future likelihood. Two recent books I have read on history have created lots of mental reactions, brain synapses, and exhausting excitement. Niall Ferguson and Rodney Stark have both taken me to the mat with a series of supplexes, body slams, and painful finishing moves. I feel like echoing the warnings on episodes of WWE: “Don’t try this history at home, at school, or anywhere.” Except, we do need to try it. We do need the bruising, muscle sprains, cuts and scraps that learning entails. In short, I like the pain of learning from great historians. I do feel smarter only by knowing how little I know. The first and the most disturbing thing about Rodney Stark is that he is not a historian by training. He is an academic and a professor at Baylor University, but his field of specialization is sociology. Maybe it was his “preaching out of bounds” that has enabled him to see bigger pictures, collate the facts in a different arrangement, sidestep the departmentalization, and do broad sweeps of history. I have and have read quite a few of his books. 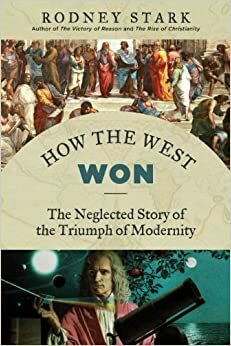 When I first began How the West Won: The Neglected Story of the Triumph of Modernity, I thought that perhaps this was a retelling, a Readers’ Digest Condensed Books-like retelling of what he has said in a previous 6 or 8 fine books. Such a work would be useful. For a fact, Stark does repeat his earlier books at points. But this book is much more. It is a recasting of the whole of Western Civilization–that politically incorrect, often rejected–course of study. Stark argues in favor of Faith and Freedom. I grant that many Christians have pumped out right-leaning, Christian oriented versions of history designed to set the record straight. The beginning of this flood of books was 1976 with Peter Marshall, Jr. and David Manuel who wrote The Light and the Glory. Christians awoke to the fact that the whole field of history had by-passed them (I should say, us). They wrote for popular audiences, for the man and woman in the pew, and they created a cottage industry of books from a Christian perspective. History books by Christians run the gamut. Some are shallow, poorly researched, anecdotally weighted with dubious stories, and triumphalist. That said, there have been Christian scholars and historians who have done the hard work of true scholarly engagement. (See the works of George Marsden, Mark Noll, D. G. Hart, Stephen Ozment, and Thomas Kidd as examples.) But there is always the need for big pictures and broad swathes of history designed for those in the middle. By that, I mean those who won’t read an academic treatise arguing a minor point among specialists, but who don’t want a superficial treatment either. Rodney Stark writes history well. His books buttress the contentions of those of us who do believe that the Christian faith has been a building block, a philosophical non-negotiable, and a source for much that is good in this world. Edward Gibbon blamed Christianity for the fall of Rome. All things considered, one has to wonder whether that contention is a criticism or a compliment to the faith. Speaking as a historian, it opens up a wide debate about the impact of faith on culture. (See Richard Neiburh’s Christ and Culture.) Stark assumes the positive impact of Christianity and Freedom, one of its offspring, on Western Civilization. This book would make a fine text for studying Western Civilization. The names, dates, maps, chronology, and end-of-the-chapter reviews that enhance or dull down history texts are missing, and one might need such a text prior to reading this. The bibliography, always a prime concern of mine, is extensive. If one is miffed that Stark relies on secondary resources, then the bibliography of those secondary resources can lead them back to the headwaters of the historical streams. Remember my initial warnings: You will be mentally numbed by reading this book. You will be wearing sackcloth and ashes in sorrow over your historical ignorance and misunderstandings. So, read it. Ferguson, like Stark, is a big picture historian. Despite the title of the book and the cover picture of a soldier, this is not a view of war from either the trenches or the command headquarters or the Pentagon or related military centers of warring powers. Ferguson delves into hows and whys of the Western nations’ two-time plunges into catastrophic world wars. I like to think that I understand the causes and effects of World Wars I and II. I can, at a moment’s notice, give lectures on the major powers in the decades leading up to August 1914. I can, with a brief review, detail both the assassination of Archduke Francis Ferdinand and the Schlieffen Plan. The main reason I avoid teaching on the world wars is because I get too lost in the lectures, the battles, the movies, and even the novels from those wars. Yet, Ferguson stunned me. As I have repeatedly said now, I realized how little I knew about the wars. Ferguson deals extensively with issues such as race, nationality, ideologies, displacement of peoples, political urgencies of the time, and economics. 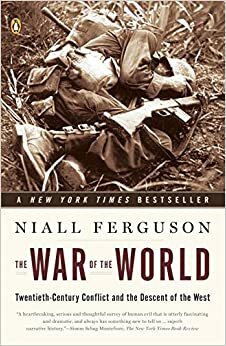 This might sound less interesting than Rick Atkinson’s outstanding Libertation Trilogy on the war in Europe, but I found Ferguson’s work to be a necessary complement or completion of the battlefield accounts. At what point, I kept wondering while reading, do figures of death and destruction cease to jar me? Routinely, numbers like 40 thousand or 1 million were used to explain not economic costs, but lives lost. Genocide, that ugly defining word for so much of 20th century history, seems too mild in capturing the extent of death and destruction. This story is of the descent of the West. The hellishness of war in the past century was not just the weapons on the battlefield, but the evils in the hearts of men. If it were possible for people to read history and experience true changes of heart, Ferguson’s book would be the Bible of our times. The need is for God’s grace, not just accounts of how evil people have been. But Ferguson’s work is not a lesson in despair. This is not a depressing book. This is good history. This book is humbling and leaves the reader sorrowful. By God’s grace, it can be godly sorrow leading to repentance culturally. There must be a journey to the underworld before the hero can truly envision his quest. Ferguson’s book provides just such a journey. 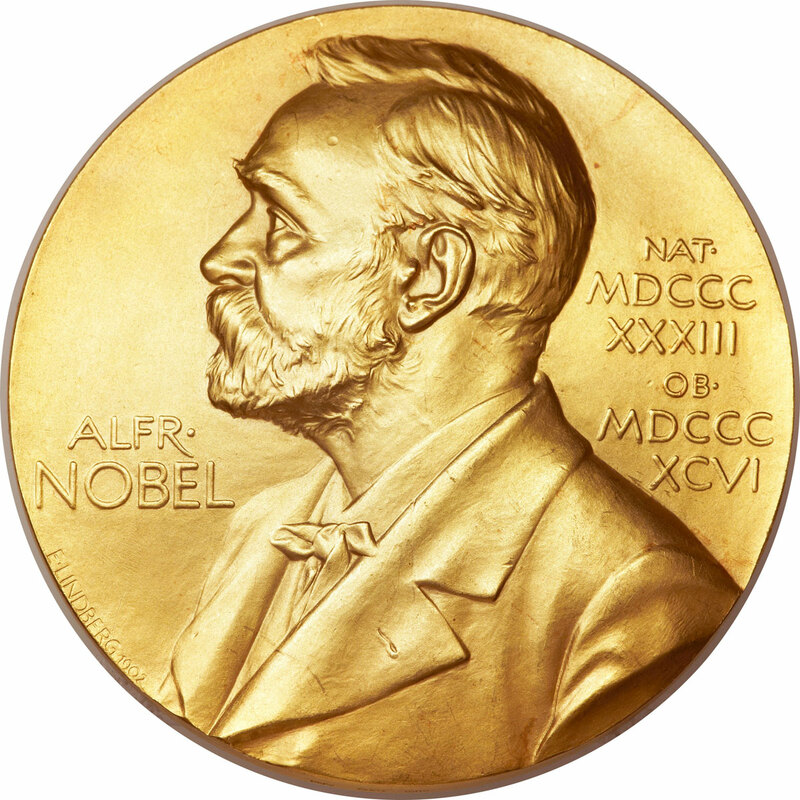 Nobel Prizes for literature have been awarded since 1901. They are given to living authors whose writings as a whole have, in the words of Alfred Nobel himself, “in the field of literature the most outstanding work in an ideal direction” There are, no doubts questions both about some of whom have won and some great authors who did not receive this international recognition. I firmly believe in what I call “Ancillary Learning.” By that, I mean learning that provides something additional or supplementary or complementary to the subject at hand. I also love lists. I also yearn to read more and more authors. Most of my literary reading has been American authors. The British come in second; the ancient Greeks third; the Russians fourth, and other Europeans fifth. There are whole worlds of literary traditions both within the European realm and the nations and cultures beyond that I have yet to explore. to learned more about it. A for some topics and some students, the next step: Becoming very knowledgeable about it. 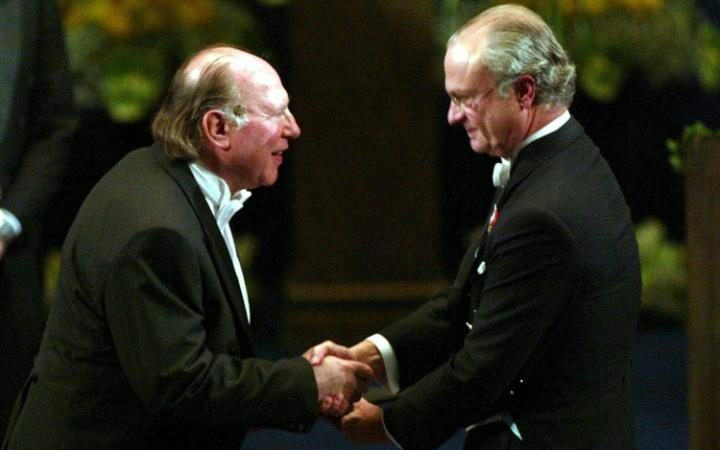 For starters, I wanted my students to know about American and British Nobel Prize Winners. Beyond that, there are some Irish, French, and Russians on the test below. Also a couple of recent winners are included. Take the test if you wish. Don’t look up the answers until after you have tried your best. the author of The Grapes of Wrath and Of Mice and Men. The 1936 winner was ________________________________________________, a playwright who wrote Desire Under the Elms and The Hairy Ape. The 1978 winner was ______________________________________, a Jewish writer who wrote in Yiddish. He is often described as a great story teller. The 1987 winner was _______________________________, a Russian poet who was expelled from his native country and became the Poet Laureate of the U. S.
The 1976 winner was ________________________________________________, a writer of Canadian and American heritage who wrote Humbolt’s Gift and Henderson the Rain King. 15. In 2013, ________________________________________________, the author of many short stories who is from Canada, won the prize. 17. And ___________________________________, who wrote Doctor Zhivago and who refused the award in 1958. 19. Born in America, the poet and literary critic ______________________________ moved to the United Kingdom and spent his career there. 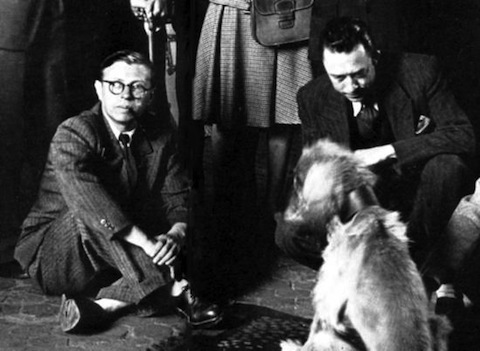 He won the prize in 1948 and is well remembered for such poems as “The Waste Land,” “The Lovesong of J. Alfred Prufrock,” and “Journey of the Magi” (Mr. H’s favorite), and for books such as Christianity and Culture. 19. ______________________________, a philosopher who wrote A History of Western Philosophy and Why I am not a Christian, won the prize in 1950. 20. Best known as the political and military leader of Great Britain during World War II, ________________________________ was also a writer and a historian. He won the prize in 1953. 21. This British author is best remembered for the book Lord of the Flies. He won the Nobel Prize in 1983 and is named ______________________________. 22. Name one of the other 4 winners from the United Kingdom. 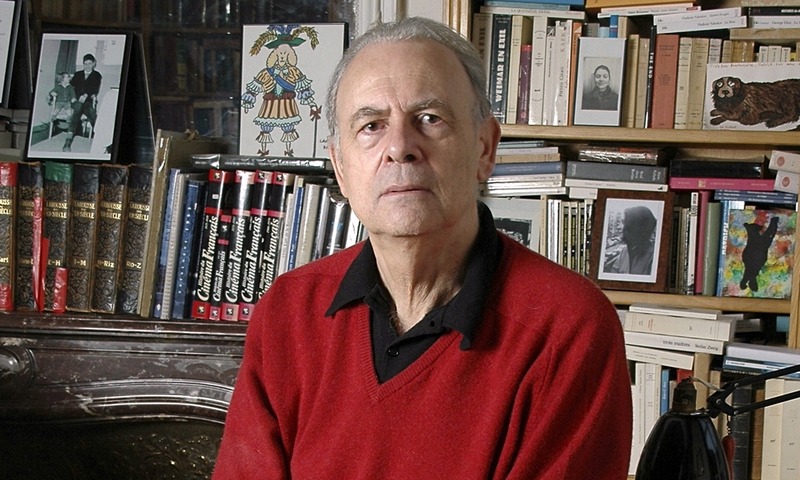 Two French writers who held to the philosophy of Existentialism won the prize. 23. ___________________________________, author of Nausea and No Exit, won it, but declined it in 1964. 24. __________________________________, author of The Stranger and The Plague, won it in 1957. 25. __________________________________, poet whose work includes “The Second Coming” and “Easter 1916,” won in 1923. He was a big influence on C. S. Lewis. 26. The 1925 winner was _________________________________, the playwright best remembered for Pygmalion (renamed “My Fair Lady” in the movie version) and Major Barbara. 27. 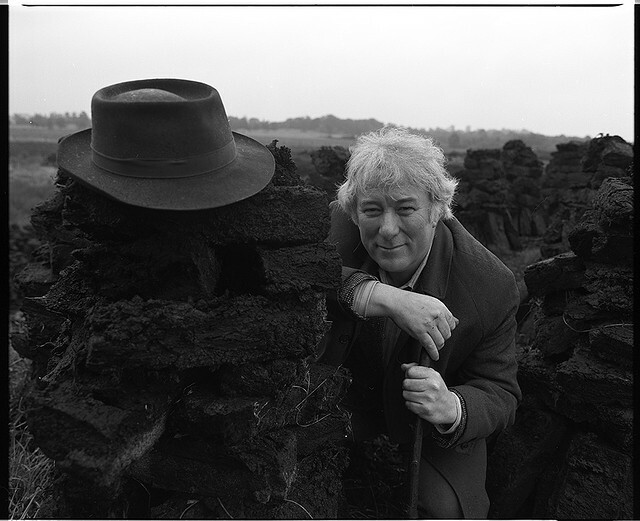 __________________________________, a playwright who is remembered for Waiting for Godot, won in 1969. 28. __________________________________, a poet whose poetry and translation of Beowulf are popular, won it in 1995. 29. The 2014 winner was _______________________ of _________________________. 30. The 2015 winner was _______________________ of _________________________. 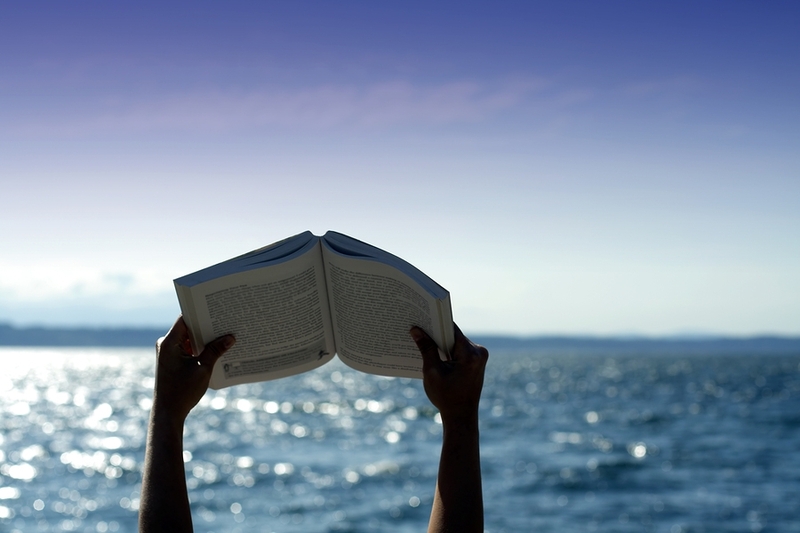 I find that it gets easier to read books than to post blog reviews of books. I am hopelessly behind on reviewing books I have received or purchased. The stacks of books to be read are always high and dangerous to by-standers. 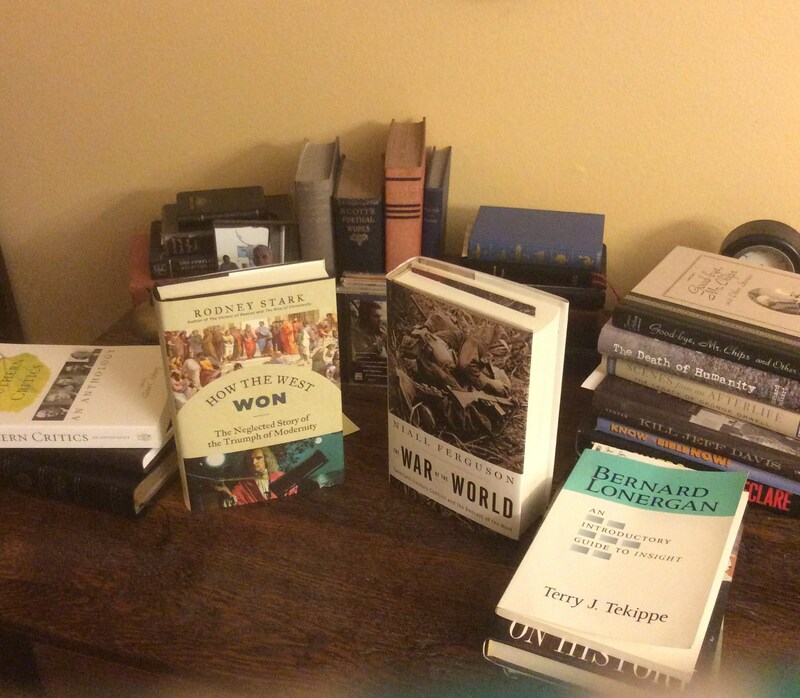 Now the stacks of books that have been read and need to be reviewed, discussed, and promoted are also growing. I will be giving some preliminary comments on these recent reads. Hopefully, I will get more in-depth commentary written in time. 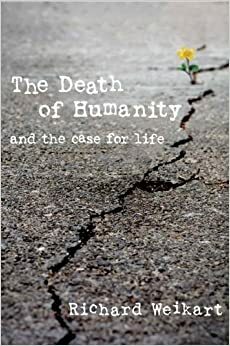 The Death of Humanity and the Case for Life is on a much broader scale than Weikart’s previous books. This book can be compared to Francis Schaeffer’s great How Should We Then Live? in that it covers lots of intellectual history and ideas. Weikart is much more detailed, however, than Schaeffer, and rightly so, since Modern European History is his specialty. Abortion, euthanasia, and any other views that are destructive of life are all the flowering of philosophies and ideas that have been germinating for at least a century or two. We are all too prone to think that “things just happen.” What happens is that ideas make their way into print and discussions, and over time, a culture changes. As the tide of faith receded, and we experienced its “melancholy, long, withdrawing roar,” to use Matthew Arnold’s image, mankind began adopting a culture and ways of thinking that began reducing the value of life. I am sure that serious students might find some of Weikart’s treatment of particular thinkers inadequate. In a survey, that is always going to be the case. One who is an expert will find the book’s treatment of certain topics shallow, but I found the book overall to be very thorough and helpful for myself. Somewhere Over There, published by the University of Oklahoma Press, is a beautiful and sad book. As noted in the subtitle, it contains the Letters, Diary, and Artwork of a World War I Corporal. The corporal was a young man from Iowa named Francis Webster. He exhibited everything pleasing and optimistic about a young American in the early years of the 20th century. The son of a Baptist preacher, he taught school, had a fiance, practiced art, and had a great future ahead of him. When the United States entered World War I, he joined the army and became part of the famed Rainbow Division. Many books about World War I, whether histories, autobiographies, or novels, are very dark and depressing. Rightly so. That war was most horrible. Yet Webster seemed to have always been cheery. His letters home were filled with lots of details about life in the army, but with many exhortations for his family not to worry about him. Even when he was hospitalized after being gassed, he maintained his upbeat attitude. In the latter part of the book, the dates on the letters were getting closer and closer to November 11, 1918 when the war ended. I confess that I kept wishing it would not end the way I knew it was going to. Corp. Webster died just one month before the war’s close. He died when he yielded his adequate cover in a trench to another soldier and then got hit with a piece of shrapnel. Along with the letters, Webster drew depictions of camp life. His works were filled with humor and were used in newspapers of that time. Compared to other countries, the United States did not lose nearly as many men in that war. Yet, accounts like this reminds us of the quality of some of those who we did lose. Herman Bavinck was a great Dutch theologian, pastor, and thinker. He is on the top shelf of Dutchmen who I admire. Often overshadowed by Abraham Kuyper, Bavinck was a great force in his own right and wasn’t just a Kuyper-clone. In our time, we have more and more access to Bavinck’s theology. Just a few years back, Ron Gleason wrote a useful biography titled Herman Bavinck: Pastor, Churchman, Theologian, Statesman. In recent years, Bavinck’s massive 4 volume work, Reformed Dogmatics, was translated and published under the guidance of John Bolt. Dr. Bolt is one of the reigning experts on Bavinck, so he is in a prime position for contributing a volume to Theologians of the Christian Life series by Crossway books. This volume is a good introduction to Bavinck’s thought in both theology proper and in broader worldview thinking and application. It is not a simplified approach to a weighty thinker, for it is a challenging read in and of itself. It does make me want to read more volumes in the Crossway Theologians series and to read more of Bavinck himself. I am usually suspicious of books on the Middle East that are written for the general Christian public by popular Christian writers. I usually expect such books to be shallow and tilted toward apocalyptic end-times positions different my own. I have no doubts about the Bible, but plenty of doubts about modern accounts that attempt to explain the Bible in terms of news headlines. Add to that, I tend to be very poorly schooled on events, history, culture, and developments in the Middle East. I confess to having a greater interest in Europe to the north west of the Middle East and to the United States, which is an ocean away. 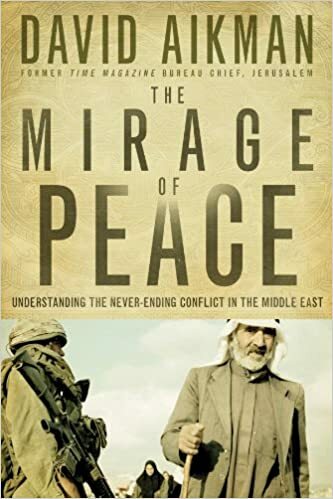 My concerns aside, this book, The Mirage of Peace: Understanding the Never-Ending Conflict in the Middle East, is an outstanding introduction to the countries and conflicts in the Middle East. Some reviewers complained that it was too much like Wikipedia accounts of the countries, but that was exactly what I needed. This book truly made me realize how little I knew about the major and minor players in the ongoing conflicts. The book, which came out in 2009, is out-of-date in places. That would be the case if it came out yesterday, but it is 6 years old. I was surprised, however, at how much of what it contains is still relevant. At the same time, I would like to see Dr. Aikman update this fine study. Part of what convinced me that the book had merit was reading about David Aikman himself. He does write more popular type histories and biographies that appeal to Christian audiences. He is a well-trained scholar. After I finished The Mirage of Peace, rather than shelving it, I put it back on my reading stack. There is so much in it that I need to read again. This is a fine study.